The prediction of snow avalanches on the Himalayan slopes can go a long way in saving life and property. Considering the complexity of phenomena observed in real avalanches, the scope of the present work has been restricted to modelling the physical phenomena of snow avalanche in the controlled experimental facility located at Himachal Pradesh. The focus was on sliding and stopping phases of the avalanche flow. 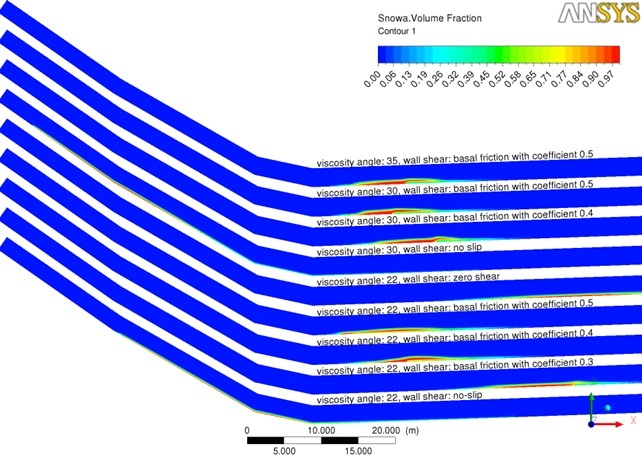 The broad objective of this work is to calibrate and build a Computational Fluid Dynamics(CFD) model which can be used to predict the run-out distance, snow depth and spread for a straight chute. 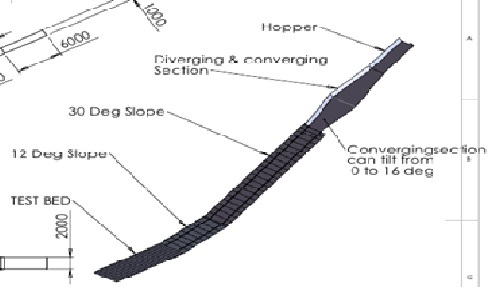 the objectives also include, performing CFD simulations on some avalanche dams and protecting structures to measure the impact/stagnation pressure.